Caution: This article features spoilers for the film Star Wars: The Force Awakens. There’s been something of a stir on the net in regards to the lack of figures for Rey’s character from the latest Star Wars film entry, The Force Awakens. People are making the argument that Hasbro is releasing figures of other characters and are ignoring who is the new Trilogy’s main protagonist, Rey, because she’s a woman. The issue here isn’t that Hasbro is sexist. In fact, stating a company like Hasbro that caters generally to gender neutral products, is misguided. In order to see that Hasbro isn’t sexist here it’s best to view the medium of storytelling in film as well as how toys are released. In regards to storytelling, The Force Awakens was a film that released very little info prior to release. 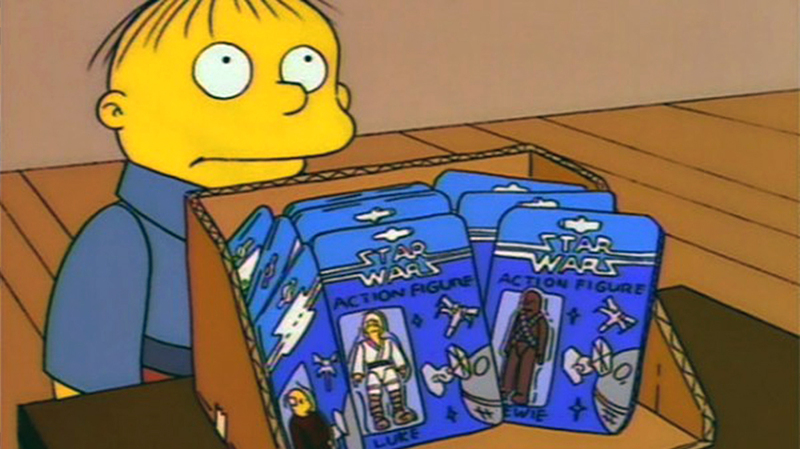 In fact, most info about the movie was gathered from action figures and other merchandise released prior to the film’s launch. Rey as a character is left to be very mysterious, and anyone who has seen the film will know why. Prior to the film’s launch, movie goers were met with teasers showing scenes of the character Finn wielding a blue lightsaber. Even on the film’s poster, we see Rey up front only holding a polearm while Finn is in the back holding a lightsaber. Viewers were had the idea pumped into their minds going into the film that Finn was going to be the newest hero jedi. So of course those attending the film’s screening would be shocked to discover that it is in fact Rey who is the serie’s newest Jedi, wielding powers that dwarf all of her male counterparts that we have seen on film. With what appears to be little to no training, she is revealed not only as a Jedi but one capable of doing things that show off how truly awesome her powers are. That mystery, that coveted Lucas Film secret, that Rey was going to revealed to be a Jedi, was likely the reasoning for the lack of Rey figures. In addition, denying the existence of Rey figures at all is foolish. 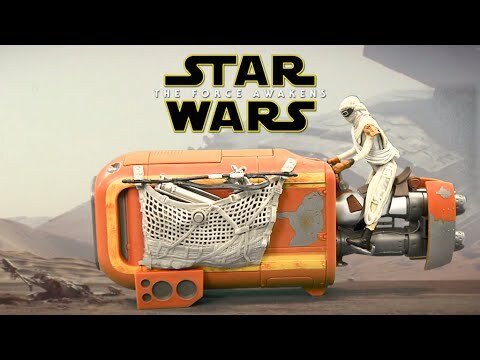 Hasbro has out several figures including a 6 inch Black Series figure, 3 ¾ inch Black Series Walmart Exclusive, Force Awakens and Desert Action Figures and even a 3.75 inch figure with her on a speeder. It’s important to take note that these figures boast the version of her that we saw in trailers – a girl wandering the dessert planet of Jakku. Certainly future figures will have out the Jedi powerhouse audience members have grown to love. Before attacking a family-friendly company like Hasbro, with claims of sexism, it’s best to realize that them holding back on the Rey figures is likely due to not being able to or wanting to ruin the surprise of Rey’s identity. Knowing this, and that figures come in waves, it’s best to wait on what comes in the next few months before making a large splash.